This month, Batman Returns celebrates the 25th anniversary of its release in theatres. Back then, Tim Burton’s gothic drama caused a lot of controversy for its many dark, eerie or sexual scenes. Time has been kind to it, though, as nowadays the film is regarded as a cult classic for many Bat-fans. Keaton himself also explained his reasoning, saying that he thought the visuals spoke louder than words. We have to agree with the Birdman star on this one. The reason his portrayal has garnered so many fans, even today, is that his Batman is a very brooding character – a largely silent protector of the city, he only needs to stand on a rooftop and spread his cape to make Gotham’s criminals flee in terror. Fans of Batman Returns should check out THR’s article in full to learn even more interesting behind-the-scenes facts about the production, as it truly is a fascinating read. For instance, Michelle Pfieffer explains why the Catwoman outfit is the “most uncomfortable costume” she’s ever worn, Danny DeVito reveals the origins of the Penguin’s black bile and Christopher Walken lets on that the real-life penguins were given their own dressing rooms. Yes, you read that right. 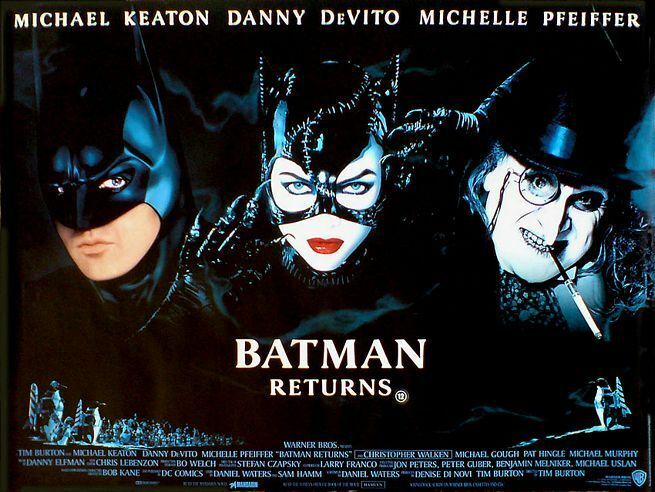 Tell us, are you a fan of Michael Keaton’s portrayal of the Dark Knight in Batman Returns? Swoop down to the comments section and let us know!